Are you looking to update your home with doors that are stylish, versatile and easy to maintain? From aluminium sliding doors, to French doors and stacker doors, we have a range of styles available to suit every Brisbane home. Virtually maintenance free and oh-so-easy to operate, aluminium doors allow you to open up your home to cool breezes and fresh air, while welcoming more light in during the day. External aluminium doors create easy access to outdoor areas all year round. Aluminium doors have a thick aluminium frame which offers strength and durability, along with thermal and acoustic properties. There are several options to choose from when considering aluminium doors, including sliding, stacker or French doors. Not sure what style of aluminium door is right for you? Start by considering how much space you have available and what kind of atmosphere you’d like to create in your home. Aluminium sliding doors are highly versatile, available with either one fixed and one sliding panel, or two fixed panels at each end with a centre opening. Aluminium French doors are ideal if you are looking to bring an elegant touch to a new or older home, and are particularly suitable if you only have a narrow opening for a new door. Aluminium stacker doors feature panels that slide behind each other. These are perfect if you are looking to create a grand impression or fill a larger opening. What are the Benefits of Aluminium Doors? 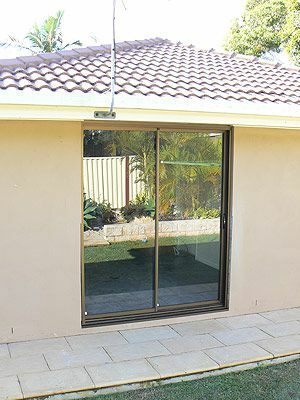 Aluminium doors offer many advantages for a Brisbane home. Installing aluminium doors will upgrade your home’s security with the introduction of deadlocks or a Crimsafe security door screen to complement the aluminium door frame. We can usually colour match your new doors to existing windows for a consistent aesthetic. How Long Do Aluminium Doors Last? Aluminium frame doors are exceptionally durable. Due to aluminium’s lightweight nature, door frames can be made thicker and stronger. In addition to this, aluminium is corrosion and weather resistant, making it the perfect choice for homes in Australia. Why choose our installation services? At Gallagher Brothers Aluminium, we have years of expertise and outstanding results in aluminium doors installation across Brisbane. Our extensive experience allows us to advise you regarding the best external aluminium door options for your unique needs. Our supply and install service ensures you will enjoy a smooth and easy process from the initial quote to job completion. 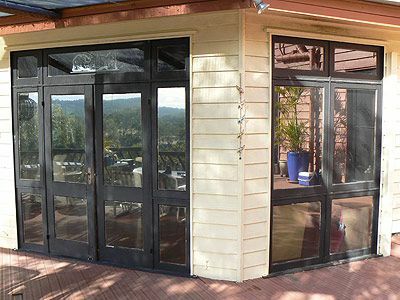 Having aluminium doors in your Brisbane home has never been easier. Finding the best option for your home improvement could be as simple as installing new aluminium doors.